The following FAQs provide members with information about various aspects of the show. So what is a quilt show all about? Why does the Guild have a quilt show? Who can enter a quilt? What is the raffle quilt all about? What Is the Mini Quilt Draw? What Is the Northcott Quilt Challenge? A quilt show is a display of quilts made by members. 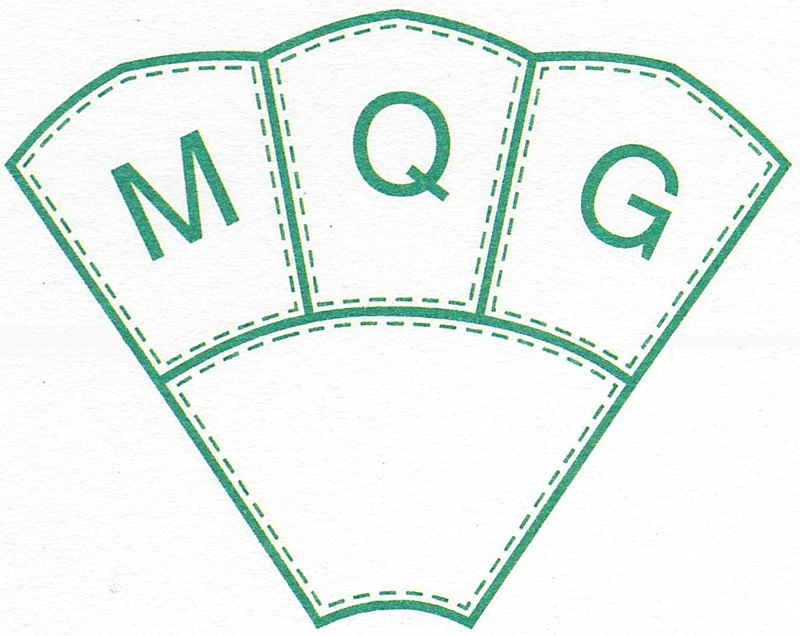 MQG holds a show every other year (as long as someone steps forward to be convenor) usually in the spring (we have tried the fall). Check out the photos on the home page to see the last show. We also agreed that there other reasons why the Guild holds a quilt show: to increase membership in the Guild, as a source of revenue, to challenge members to develop their skills, to share with the community the many ways the guild supports important causes in Mississauga and to support an active and involved membership. Any member can enter a quilt. We may need to limit the number of entries but we hope that every member will submit at least one quilt to hang in the show. Do I have to volunteer at the show and when can I sign up? One of the requirements for entering a quilt in the show is that you must volunteer for a 2 hour shift on set-up day or during the show (2 hours volunteer time total, not 2 hours per quilt entered). For each show, one large and up to two smaller quilts are raffled by the guild. Funds raised from the raffle help to support the CORE program where guild members make quilts that are donated to individuals, groups and organizations in the community. A Raffle Committee designs a quilt and distributes fabric to members who make blocks for the quilt. The block design often requires members to add their own fabrics. The returned blocks are assembled into quilt tops which are then quilted. The Guild applies for a raffle license and ticket sales begin! The draw is held on the last day of the quilt show. Everyone loves to win something and the mini-quilt draw is always a big hit with quilters and non-quilters alike. Check out the photo on the home page of the website to get an idea of what the mini quilt draw table and quilts look like. The goal for this year is to have at least 60 quilts for the draw. The only constant component for the quilts is size. The circumference (distance around all sides of the quilt) must be no greater than 96”; thus the “mini” aspect. The quilt can be any shape but most are rectangular but an odd shape would be interesting. We don’t require you to put a sleeve on a mini quilt for the raffle but it might be helpful to do that so the winner can hang the quilt. Some quilts are traditional blocks, some are applique. Some quilters use the mini quilt raffle as a way to try a new technique or use up their stash. Seasonal and holiday themed quilts, quilts for children or about cats/dogs/animals or that would fit in a kitchen or sewing room are popular. The only limit is your imagination, time and interest in making a little project to donate to the show. The Northcott Challenge is a chance for guild members to use their creative powers to create a small quilt based on the challenge topic. We are fortunate to have Northcott Fabrics donate three fabrics which are the basis of the quilt you create. The 3 fabric kit must be purchased from the Quilt Challenge Committee. The money collected will be used for the prize money to be awarded, $125.00 for first, $100.00 for second, and $75.00 for third place. Your task is to create a quilt consisting of a top middle and backing, based on the a quilt theme. You must use a recognizable amount of all 3 kit fat quarter fabrics as well as any other fabrics of your choice as you desire. You can’t use more of the fabrics from the kit than what provided to you. You must quilt the layers either by hand or machine and you may add other embellishments such as beads, yarns, netting etc. The total outside perimeter measurement must be 160 inches of less, but it may be any shape you wish (for example a square quilt could be 40 inches by 40 inches, or a circle have a circumference of 160 inches). You can create your own design or you may use a commercially available pattern as long as it fits the challenge theme. If you use someone else’s design, you need to acknowledge and list the pattern designer in your quilt description on the entry form. Look for creative inspiration on-line, in magazines, art books, asking others or wherever you find your muse. You can use a traditional quilt technique, or go modern, create a quilt picture, or something dimensional. The idea is to have fun. Judging will be primarily based on Interpretation of the Theme, and on Use of the Challenge Fabrics. Construction techniques will be considered but are less important. Beginners need not be intimidated by not being as experienced as some Guild members! What is the Iron Quilt 2 Challenge? As convenor for the show, I want to challenge all members to submit at least one quilt. The Iron Quilt 2 challenge is designed to inspire new and experienced quilters and members who may be a little hesitant to enter the show to use precut fabrics. At the 2013 show, 22 quilts were submitted. Precuts take some of the stress out of quilting – the fabrics coordinate, you save time because the fabric is already precut and there are lots of patterns that are designed for these products and many are free on the internet. The only requirement is that you have to purchase a precut package of fabric – 2½” or 6” strips, 5” or 10” squares, or precut shapes such as hexagons. The quilt can be any size or shape.